I am an applied lingusit and Professor of Language Education (TESOL) in the Graduate School of Education. I previously held appointments at Michigan State University (USA), Nanyang Technology University (Singapore), and Shanghai Jiao Tong University (China). An applied linguist by training, I am primarily interested in vocabulary knowledge and reading development in second language (L2) or bilingual learners. Over the past years, I have collaborated with colleagues and students to examine various issues related to this strand of interest, such as the metalinguistic underpinnings of word learning and reading (e.g., Zhang, 2013, 2017a, 2017b; Zhang, Koda, & Leong, 2016) and the lexical foundation of reading comprehension (e.g., Zhang, 2012; Zhang & Yang, 2016). To unravel the complexity of L2 reading development, my research has taken a cross-linguistic perspective, examining how learners’ metalinguistic resources, such as morphological awareness, can be transferred from one language to facilitate their development of reading and its related skills in the other language. More recently, I have developed a strong interest in the multidimensionality of vocabulary knowledge and its implications for textual comprehension. In particular, I aim to find out how different dimensions of vocabulary knowledge and the efficiency of accessing them function in L2 readers’ reading of different types of texts and for different reading purposes. A secondary strand of my research focuses on the relationships between language teacher cognition (Borg, 2006) and teachers’ classroom practices. So far I have collaborated with colleagues and students to look at two major issues related to this strand of research: language teachers’ technology adoption (e.g., Liu, Lin, & Zhang, 2017; Liu, Lin, Zhang, & Zheng, 2017) and assessment literacy (Gu, Teng, Yang, & Zhang, 2019). Although multiple approaches have been adopted in my research to address the complexity of issues related to language learners and teachers, my research is primarily cognitive and quantitative and involves using multivariate statistical methods such as Structural Equation Modeling to document the complex relationships between variables. I welcome emails from prospective students to discuss interest in studying in GSE’s EdD in TESOL or PhD in Education programme. Those who have had rigorous theoretical and methodological training in psychology of language/reading are particularly welcome to contact me and apply to one of the two programmes. Zhang D, Koda K (2017). Assessing L2 vocabulary depth with word associates format tests: issues, findings, and suggestions. Asian-Pacific Journal of Second and Foreign Language Education, 2(1). Word Associates Format (WAF) tests are often used to measure second language learners’ vocabulary depth with a focus on their network knowledge. Yet, there were often many variations in the specific forms of the tests and the ways they were used, which tended to have an impact on learners’ response behaviors and, more importantly, the psychometric properties of the tests. This paper reviews the general practices, key issues, and research findings that pertain to WAF tests in four major areas, including the design features of WAF tests, conditions for test administration, scoring methods, and test-taker characteristics. In each area, a set of variables is identified and described with relevant research findings also presented and discussed. Around eight topics, the General Discussion section provides some suggestions and directions for the development of WAF tests and the use of them as research tools in the future. This paper is hoped to help researchers become better aware that the results generated by a WAF test may vary depending on what specific design the test has, how it is administered and scored, and who the learners are, and consequently, make better decisions in their research that involves a WAF test. Zhang D (2017). Derivational Morphology in Reading Comprehension of Chinese-speaking Learners of English: a Longitudinal Structural Equation Modeling Study. Applied Linguistics, 38, 891-895. Full text. Zhang Y, Lin C-H, Zhang D, Choi Y (2017). Motivation, strategy, and English as a foreign language vocabulary learning: a structural equation modelling study. British Journal of Educational Psychology, 87(1), 57-74. Full text. Zhang D (2017). Word reading in L1 and L2 Chinese learners: Commonalities and differences. Modern Language Journal, 101, 391-411. This study examined the similarities and differences in the functioning of component processes underlying first language (L1) and second language (L2) word reading in Chinese. Fourth-grade Chinese children in Singapore were divided into L1 and L2 reader groups based on whether they used Mandarin or English as their home language. Both groups were administered a battery of tasks that assessed their orthographic processing skill (OP), phonological awareness (PA), morphological awareness (MA), oral vocabulary knowledge, as well as the ability to decode characters and multi-character compound words. Separate Structural Equation Modeling (SEM) analyses showed that in the L1 group, over and above all other variables, both OP and MA, as opposed to PA, were significant predictors of word reading, whereas in the L2 group, OP and PA, as opposed to MA, predicted word reading. Multiple-group SEM analysis further revealed that the effects of OP and MA were significantly larger in the L1 than in the L2 group, whereas a converse pattern was found for PA. These findings are discussed in light of the linguistic and language-to-print mapping properties of Chinese as well as the influence of L1 and L2 learners’ differential experience on how they learn to read in Chinese. Zhang D, Yang X (2016). Chinese L2 Learners’ Depth of Vocabulary Knowledge and its Role in Reading Comprehension. Foreign Language Annals, 49(4), 699-715. Full text. ZHANG DONGBO (2012). Vocabulary and Grammar Knowledge in Second Language Reading Comprehension: a Structural Equation Modeling Study. The Modern Language Journal, 96(4), 558-575. Zhang D, Lin C-H (2017). Chinese as a Second Language Assessment., Springer. Lin C-H, Zhang D, Zheng B (2017). Preparing Foreign Language Teachers for Next-Generation Education., IGI Global. Zhao S, Zhang D (2010). China through the dynasties., Cengage Learning. Zhang D, Lin C-H, Zhang Y, Choi Y (In Press). Pinyin or no pinyin: does access to word pronunciation matter in the assessment of Chinese learners’ vocabulary knowledge?. The Language Learning Journal, in press Full text. Choi Y, Zhang D (In Press). The relative role of vocabulary and grammatical knowledge in L2 reading comprehension: a systematic review of literature. International Review of Applied Linguistics in Language Teaching Full text. Zhang D, Koda K, Leong CK, Pang E (2019). Cross-lagged analysis of reciprocal effects of morphological awareness and reading in Chinese in a multilingual context. Journal of Research in Reading, 42, 58-58. Full text. Leong CK, Shun MSK, Tai CP, Ki WW, Zhang D (2019). Differential Contribution of Psycholinguistic and Cognitive Skills to Written Composition in Chinese as a Second Language. Reading and Writing: an Interdisciplinary Journal, 32, 439-466. This study examined the contribution of the constructs of orthographic processing (orthographic choice and orthographic choice in context), syntactic processing (grammaticality and sentence integrity), and verbal working memory (two reading span indicators) to written Chinese composition (narration, explanation, and argumentation) in 129 fifteen-year-old L2 learners. A matrix task was also administered as a control task to tap cognitive flexibility. Structural Equation Modeling (SEM) analysis with written composition as a latent variable revealed orthographic processing and working memory as two significant, independent contributors, whereas the unique contribution of syntactic processing was not significant. Subsequent SEM analysis with narration, explanation, and argumentation as separate endogenous variables found varied patterns of the contribution of each latent predictor to written composition in different genres. These patterns are discussed in light of the importance of attention to learners’ developmental stage and genre-sensitive measures to capture the psycholinguistic and cognitive underpinnings of written composition in L2 Chinese. Liu H, Lin C-H, Zhang D, Zheng B (2018). Chinese language teachers’ perceptions of technology and instructional use of technology: a path analysis. Journal of Educational Computing Research, 56, 396-414. This study examined internal and external factors affecting pedagogical use of technology among 47 K–12 Chinese language teachers in the United States. Path analysis of the survey data was used to examine the relationships between the teachers’ instructional use of technology, on the one hand, and on the other, their perceptions of three internal factors (i.e. technology’s usefulness, its ease of use, and subjective norms) and one external factor (i.e. facilitating conditions). The results showed that these teachers’ pedagogical use of technology could be predicted by two of the three internal factors (i.e. perceived usefulness and subjective norms) and by the external factor. Additionally, the external factor was found to have a significant influence on both perceived ease of use and subjective norms. Choi Y, Zhang D, Lin C-H, Zhang Y (2018). Self-regulated learning of vocabulary in English as a Foreign Language. Asian EFL Journal, 20, 54-82. Full text. Zhang D (2017). Metalinguistic awareness Malay-English bilingual children’s word reading: a cross-lagged panel study on transfer facilitation. Applied Psycholinguistics, 38, 395-426. Full text. Zhang D (2017). Multidimensionality of morphological awareness and text comprehension among young Chinese readers in a multilingual context. Learning and Individual Differences, 56, 13-23. Full text. Liu H, Lin CH, Zhang D (2017). Pedagogical Beliefs and Attitudes toward Information and Communication Technology: a Survey of Teachers of English as a Foreign Language in China. Computer Assisted Language Learning, 30, 745-765. Full text. Zhang D, Koda K, Leong CK (2016). Morphological awareness and bilingual word learning: a longitudinal structural equation modeling study. Reading and Writing, 29(3), 383-407. Zhang D (2016). Morphology in Malay–English biliteracy acquisition: an intervention study. International Journal of Bilingual Education and Bilingualism, 19(5), 546-562. Lü C, Koda K, Zhang D, Zhang Y (2015). Effects of semantic radical properties on character meaning extraction and inference among learners of Chinese as a foreign language. Writing Systems Research, 7(2), 169-185. Zhang D, Koda K (2014). Awareness of derivation and compounding in Chinese–English biliteracy acquisition. International Journal of Bilingual Education and Bilingualism, 17(1), 55-73. Zhang D, Koda K, Sun X (2014). Morphological awareness in biliteracy acquisition: a study of young Chinese EFL readers. International Journal of Bilingualism, 18(6), 570-585. Suárez L, Koh ABB, Zhang D (2013). English Priming Effects on Spatial Decisions in Chinese. International Journal of Social Science and Humanity, 227-231. ZHANG DONGBO (2013). Linguistic distance effect on cross-linguistic transfer of morphological awareness. Applied Psycholinguistics, 34(05), 917-942. Zhang D, Koda K (2013). Morphological awareness and reading comprehension in a foreign language: a study of young Chinese EFL learners. System, 41(4), 901-913. Li L, Zhang D, Zhao S (2013). Singaporean Chinese children’s home literacy environment and its influence on lexical knowledge and reading comprehension (in Chinese). Journal of Chinese Language Teaching, 10, 109-130. Li L, Zhang D, Zhao S (2013). Willingness to communicate among Singaporean Chinese children (in Chinese). TCSOL (Teaching Chinese to Speakers of Other Languages) Studies, 13, 57-63. Zhang D, Zhao S, Sun X (2012). Chinese EFL learners’ derivational knowledge: a study of advanced learners (in Chinese). Modern Foreign Languages, 35, 150-157. 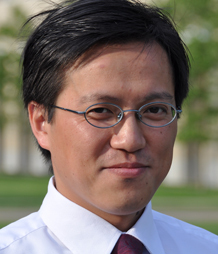 Zhang D, Koda K (2012). Contribution of morphological awareness and lexical inferencing ability to L2 vocabulary knowledge and reading comprehension among advanced EFL learners: testing direct and indirect effects. Reading and Writing, 25(5), 1195-1216. Zhao S, Zhang D (2012). Towards internationalization of Language Planning: a new arena for language diffusion and competition (in Chinese). Journal of Foreign Languages, 35, 2-11. Zhang D, Zhao S (2011). Explicit and implicit grammatical knowledge in second language reading comprehension: a study of Advanced EFL learners (in Chinese). Foreign Language Teaching and Research, 43, 387-399. Zhang D, Koda K (2011). Home Literacy Environment and Word Knowledge Development: a Study of Young Learners of Chinese as a Heritage Language. Bilingual Research Journal, 34(1), 4-18. Zhang D, Li L (2010). Sociopsychological factors and language maintenance and shift in an American Chinese community (in Chinese). Applied Linguistics, 18, 42-51. Zhang D, Zhao SH, Goh HH (2009). Teacher Questioning and Construction of Opportunities for Chinese Language Learning. Journal of the Chinese Language Teachers Association, 44, 81-101. Sun X, Zhang D (2008). American college students’ requesting competence in Chinese as a Foreign Language (in Chinese). Teaching Chinese in the World, 21, 105-113. Zhang D, Yu Y (2008). Context of learning and requesting in Chinese as a Second Language: an exploratory study of Chinese learning in Study Abroad and at Home Contexts. Journal of the Chinese Language Teachers Association, 43, 73-92. Zhang D, Koda K (2008). Contributions of L1 reading sub-skills to L2 reading development in English as a foreign language among school-aged learners. Indonesian Journal of English Language Teaching, 4, 1-17. Zhang D, Zhao S, Liu Y (2008). Teacher-student interaction in Singapore Chinese language classrooms (in Chinese). Language Teaching and Linguistics Studies, 28, 85-91. Zhao SH, Zhang D (2007). The Totality of Chinese Characters-A Digital Perspective. International Journal of Asian Language Processing, 17, 107-125. Liu Y, Goh HH, Zhang D (2006). A preliminary description of Singapore Chinese Language classrooms (in Chinese). Teaching Chinese in the World, 19, 97-105. Zhang D, Liu Y (2005). Chinese Language instruction in Singapore classrooms: Preliminary observations and findings (in Chinese). Journal of Chinese Language Education, 1, 1-18. Gu Z, Teng Y, Yang X, Zhang D (2019). K-12 Chinese Language Teachers’ Perceptions of Classroom Portfolio Assessment. In Yuang F, Li S (Eds.) Classroom-Based Research on Chinese as a second language, Routledge, 239-258. Zhang D, Lin CH (2017). Developing a Word Associates Test for assessing the vocabulary depth of Chinese L2 learners. In Zhang D, Lin CH (Eds.) Chinese as a Second Language Assessment, Springer, 115-140. Zhang D, Lin CH (2017). Developments in testing Chinese as a Second Language: an overview of research. In Zhang D, Lin CH (Eds.) Chinese as a Second Language Assessment, Springer, 67-87. Zhang D, Lin CH (2017). Introduction. In Zhang D, Lin CH (Eds.) Chinese as a Second Language assessment, xi-xxi. Lin CH, Zhang D, Zheng B (2017). Language teachers’ perceptions of barriers to instructional use of technology. In Lin CH, Zhang D, Zheng B (Eds.) Preparing foreign language teachers for next-generation education, IGI Global, 56-73. Zhang D, Lin CH, Zheng B (2017). Preface: Technology, teaching, teacher education, and teacher learning. In Lin CH, Zhang D, Zheng B (Eds.) Preparing foreign language teachers for next-generation education, IGI Global, xiv-xxii. Zhang D, Li L (2016). Morphological Teaching and Singaporean Children’s English Word Learning. In Silver RE, BokHorst-Heng WD (Eds.) Quadrilingual education in Singapore: Pedagogical innovation in language education, Springer, 199-218. Zhang D, Li L, Zhang S (2016). Testing writing in Chinese as a Second Language: an overview of research. In Aryadoust V, Fox J (Eds.) Current trends in language testing in the Pacific Rim and the Middle East: Policies, analysis, and diagnosis, Cambridge Scholars Publishing, 317-335. Zhao S, Zhang D (2014). Conflicting goals of Language-in-Education Planning in Singapore: Chinese Character (Hanzi) education as a case. In Curdt-Christiansen XL, Hancock A (Eds.) Learning Chinese in diasporic communities: Many pathways to becoming Chinese, John Benjamins, 159-179. Koda K, Lu C, Zhang D (2014). L1-Induced Facilitation in Biliteracy Development in Chinese and English. In Chen X, Wang Q, Luo YC (Eds.) Reading development and difficulties in monolingual and bilingual Chinese children, Springer, 141-169. Zhang D, Zhao S, Li L (2014). Teachers’ perceptions and use of Information and Communication Technologies (ICT) in Chinese language education. In Li S, Swanson P (Eds.) Engaging language learners through technology integration: Theory, applications, and outcomes, IGI Global, 239-258. Zhang D (2012). Chinese primary school EFL curriculum reform. In Leung C, Ruan J (Eds.) Perspectives on teaching and learning English literacy in China, Springer, 71-88. Zhang D, Liu Y (2006). ICT and Chinese literacy education: Recent developments. In McKenna M, Labbo LD, Kieffer R, Reinking D (Eds.) International Handbook of Literacy and Technology, Lawrence Erlbaum, 193-208. Liu H, Lin CH, Zhang D, Zheng B (2016). Pre-service Language Teachers’ Instructional Use of Technology: Factors and Barriers. Proceedings of Society for Information Technology & Teacher Education International Conference 2016. Huang M, Zhang D, Zhao S (2012). The use of ICT in the Chinese classroom: a Singapore perspective. 20th International Conference on Computers in Education, ICCE 2012. Zhang D, Liu Y (2005). Pinyin input experiments in early Chinese literacy instruction in China: Implications for Chinese curricular and pedagogic reform in Singapore.. Proceeding of the First Redesigning Pedagogy: Research, Policy, Practice Conference. O'Brien BA, Yin B, Li L, Zhang D, Chin CF, Zhao S, Vaish V (2014). Bilingualism, literacy and reading achievement. National Institute of Education, Singapore, National Institute of Education. Liu Y, Zhao S, Hong H, Goh HH, Toh W, Gan J, Wang Y, Zhang D, Zhao C, Ong S, et al (2008). An investigation of Singaporean Chinese children's oral linguistic competence in Mandarin: a corpus-driven study., Center for Research in Pedagogy and Practice, National Institute of Education. Zhang D, Zhao S, Liu Y (2006). Chinese Language instruction in Singapore primary school classrooms: a study of pedagogic practices., Center for Research in Pedagogy and Practice, National Institute of Education. Teng Y, Zhang D (2016). Review of Integrating Writing Strategies in EFL/ESL University Contexts: a Writing-Across-the-Curriculum Approach. Teachers College Record Author URL.